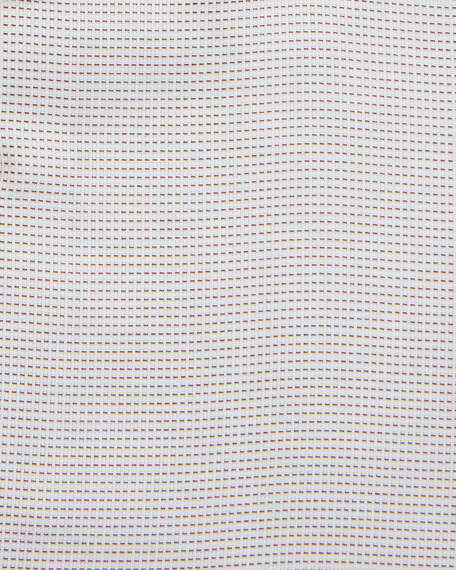 Brioni dress shirt in dot-weave. 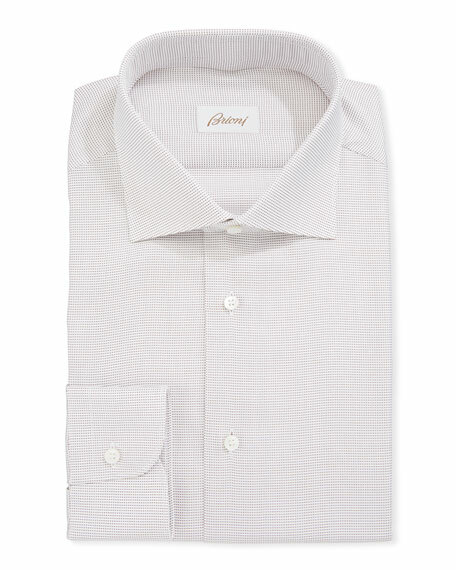 EXCLUSIVELY AT NEIMAN MARCUS Ermenegildo Zegna formal shirt in tonal diamond pattern. Spread collar; hidden-button front. Mitered barrel cuffs. Shirttail hem. Cotton/mulberry silk. Machine wash (gentle cycle). Made in Italy. Ermenegildo Zegna dress shirt in multi stripes. Point collar; French-placket button front. Rounded barrel cuffs. Shirttail hem. Cotton. Imported.